Little Miss Bliss another pregnant stray we took in delivered her babies safely today! We have been asked to assist in finding Jack a home. 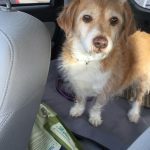 This sweet little seniors owner is going into long term care. 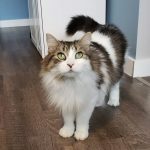 "Jack is approximately 14 years old and neutered. (She adopted him 2013 and we were told he was 7 years old at the time.) Jack needs a quiet life with an easy house to navigate. He has a hard time with stairs due to some arthritis in his hips. Jack has cataracts which impacts his vision and he is losing his hearing – although he sure knows when you are in the kitchen. Jack likes to go for a little walk each morning. He sleeps a lot through the day and goes to bed at 9:30 and sleeps until the morning (6:30-7:00 am). Currently Jack does not need daily medication. 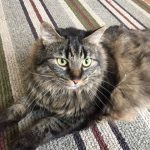 We give him CBD oil in the evenings for his arthritis." Jack has been well taken care of and comes with Vet records. He is looking for a loving home to live out the remainder of his years. Further information is pending. Grrrr is a 9 year old Spayed female whose owners can no longer care for. She would prefer to be an only child. Meet Flame our newest admission. 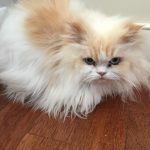 This Super sweet Teddy Bear is a 3 and a half year old male neutered Flame point Himalayan whose owner could no longer care for. Scottie was surrendered by her owner as she could no longer care for. She is now spayed. A REALLY sweet girl! 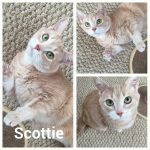 Scottie is now available at the Trenton Pet Valu. Sniffers is a 6 year old male neutered bit whose owner could no longer care for. Sooooo friendly! Such a sweet boy! 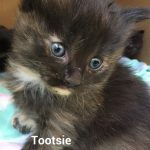 Tootsie is one of Angel and Mya's kittens. Angel and Mya are a mother and daughter who were surrendered by their owner when delivered 11 kittens between them. 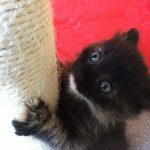 Kittens will be ready for adoption towards the end of May. 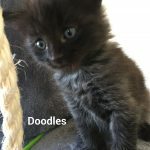 Doodles is one of Angel and Mya's kittens. Angel and Mya are a mother and daughter who were surrendered by their owner when delivered 11 kittens between them. 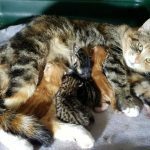 Kittens will be ready for adoption towards the end of May. 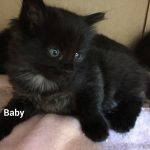 Baby is one of Angel and Mya's kittens. Angel and Mya are a mother and daughter who were surrendered by their owner when delivered 11 kittens between them. Kittens will be ready for adoption towards the end of May. 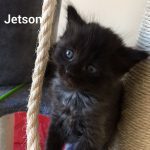 Jetson is one of Angel and Mya's male kittens. Angel and Mya are a mother and daughter who were surrendered by their owner when delivered 11 kittens between them. Kittens will be ready for adoption towards the end of May. 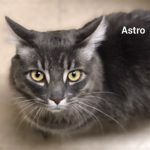 Astro is a 3 year old male neutered boy who was surrendered with his brother Roman. A bonded pair. Must be adopted together. Presently at the Belleville Pet Valu. 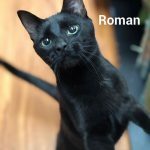 Roman is a 3 year old male neutered boy who was surrendered with his brother Astro. Bonded and must be adopted together. Presently at the Belleville Pet Valu. 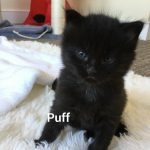 Puff is one of Angel and Mya's kittens. Angel and Mya are a mother and daughter who were surrendered by their owner when delivered 11 kittens between them. 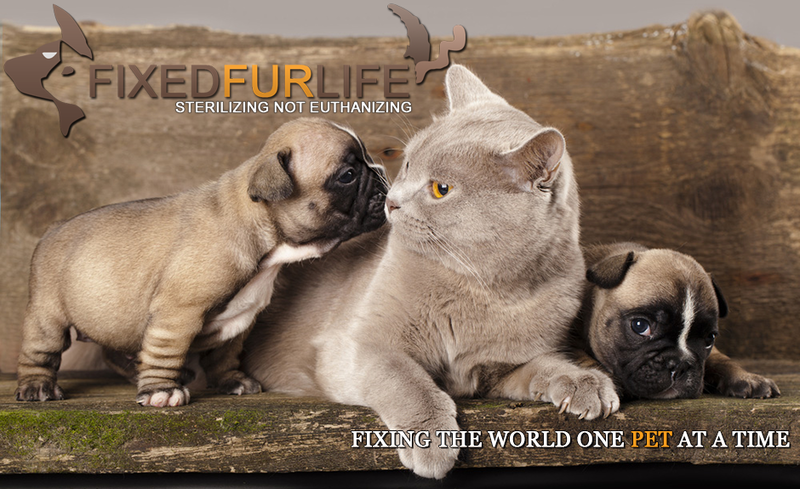 Kittens will be ready for adoption towards the end of May. 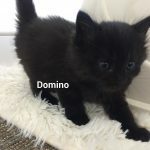 Domino is one of Angel and Mya's kittens. Angel and Mya are a mother and daughter who were surrendered by their owner when delivered 11 kittens between them. Kittens will be ready for adoption towards the end of May. 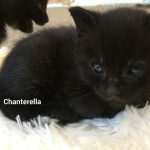 Chanderella is one of Angel and Mya's kittens. Angel and Mya are a mother and daughter who were surrendered by their owner when delivered 11 kittens between them. Kittens will be ready for adoption towards the end of May. 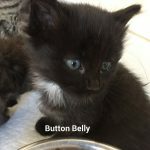 Button Belly is one of Angel and Mya's kittens. Angel and Mya are a mother and daughter who were surrendered by their owner when delivered 11 kittens between them. Kittens will be ready for adoption towards the end of May. 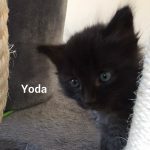 Yoda is one of Angel and Mya's kittens. Angel and Mya are a mother and daughter who were surrendered by their owner when delivered 11 kittens between them. Kittens will be ready for adoption towards the end of May. 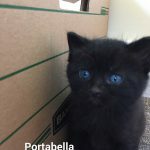 Portabello is one of Angel and Mya's male kittens. Angel and Mya are a mother and daughter who were surrendered by their owner when delivered 11 kittens between them. Kittens will be ready for adoption towards the end of May. Truffles is one of Angel and Mya's female kittens. Angel and Mya are a mother and daughter who were surrendered by their owner when delivered 11 kittens between them. Kittens will be ready for adoption towards the end of May. 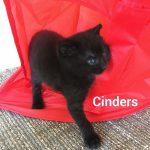 Cinders is one of Angel and Mya's kittens. Angel and Mya are a mother and daughter who were surrendered by their owner when delivered 11 kittens between them. Kittens will be ready for adoption towards the end of May.